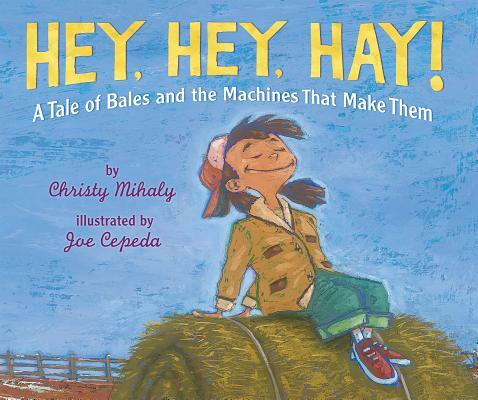 A girl tells the tale of making hay as Mom uses a mower for mowing grass, then a tedder for aerating the grass, and eventually a baler. Told in rhyme and illustrated with fabulous art by JOE CEPEDA, each part of the process is a celebration of summer, farming, and the mother-daughter relationship. Back matter includes a glossary. JOE CEPEDA, recipient of a Pura Belpré honor, has illustrated many books for young people including ¡Vámonos! Let's Go! by RENE COLATO LAINEZ and Swing Sisters: The Story of the International Sweethearts of Rhythm by KAREN DEANS. He both wrote and illustrated the I Like to Read® title Up.